It's dual read-a-thon time! 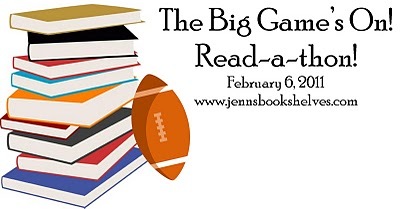 I'm also participating in Jenn's (Jenn's Bookshelves) The Big Game's On! Read-A-Thon today. I'm still working on Cleopatra by Stacy Schiff...hoping to finish it and then finish Quicksilver by Joy Spraycar before the night's over. We'll see how it goes! Of course, I know I probably will not get to all of these, but they have been on my TBR stack since Fall 2010 and I really must finish them and get them reviewed. I'm going to see how well I function on little to no sleep. HaHa...I know my body will not cooperate. Oh, yeah...and another thing I have to do tonight. Hook up and install my new cable internet. Woot! High speed, here I come! 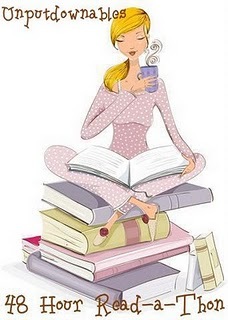 Are you doing the read-a-thon too?